ETSY Stores You Must See! Wickedly Delicious Custom Spice Blends and My Life as I Stumble Through It. At least stumble through what's left of it! Ah, I am back for a short post on my second Mother Sauce base, Tomato Sauce or Sauce Tomat. The French actually developed this sauce (based upon teachings from the Italians) which uses tomatoes as a base. Needless to say Tomato Sauce is so versatile that its variations are endless! Make a Tomato Sauce base is quite simple. I was taught to use fresh tomatoes, but I now often use canned whole and pureed tomatoes. Honestly, it will be hard for most of your diners to ever know the difference. This recipe will make around a quart and a half to two quarts. Hold on to your hats, folks, this will be fast and furious. Something to remember before you begin is to choose your pot carefully. You will need a pot that easily holds 2 quarts of hot liquid. I’d suggest a glass pot or one that has an internal non stick surface. I suggest this for a simple reason. Tomatoes are extremely acidic and can readily pull the flavor and particles of aluminum and other metals (like iron) into your sauce. Believe me, the taste will be affected by the wrong pot! Alright then, let’s get started. Begin by placing the salt pork into the pot and rending the fat out of the salt pork (a heavy bottomed pan works best and helps avoid burning). Add about a tablespoon of water and cover with a lid. Place heat on medium and check after 5 minutes. The steam will help the fat render from the salt pork and help prevent burning of the pork fat. Once the salt pork is rendered, add in butter, carrots, onions and sweat them over medium heat for 5-10 minutes. The vegetables should become tender and begin to release their aromas. As this happens you can sprinkle the flour over the carrots and onions and continue to cook them for a few more minutes. The flour will work with the pork fat to make a roux. See my previous postings to learn about a roux. Add in the tomatoes and cook them with the other ingredients until they begin to soften and release their fluids. Immediately add in your chicken or veal stock and crushed garlic. Cover the pot and reduce heat the simmer for about 2 hours. Finally, cool your broth a bit and put it all through a blender until smooth. If you want a very smooth sauce, take the blended mixture and filter it through a chinois, finish it with sale, pepper and the sugar. Many of you are asking, why the sugar? Well, sugar will help balance the acidity of the tomatoes. Try it. A little sugar on everything is fantastic. Once you have you base you can add whatever spices you want to create your dream pasta sauce, soup, or meat sauce. I highly recommend you take a joy ride into the variations of Sauce Tomat. Recipes are available in just about every cookbook and across the net. Enjoy. BECHAMEL! Sounds Like A Sneeze, Eh? I’m here, but for how long I’m not sure. First craft fair of the season and it was slowwwwwww. Ah, but there are more to come! It always looks up the closer to Christmas we get. I just love this time of year. Enough of this for now, let’s head to my favorite sauce–Bechamel! Oh, excuse you! Start by making a White Roux. Now, this is not book learning you will be getting from me, but experience. I DO use butter as my fat source–REAL BUTTER folks. I take a pan, put in about 4-5 tablespoons of butter and heat it up on medium high heat. When fat thins I add 6-7 tablespoons of flour and whisk briskly until the mixture begins to thin and bubble. I then turn the heat to low and reduce the amount of whisking I do until I smell a toasty aroma arising from the roux. I usually let it cook for about 1-2 minutes more (don’t let it brown) and then remove it and set it aside. For what follows you will need 4-6 tablespoons of this roux. In a separate pot, heat up about one quart of milk (I use whole milk to get the smoothest blend) until it is SIMMERING. Add the roux to the milk and whisk until the two come together smoothly, simmering while doing so. Add salt to taste and two pinches of nutmeg. I don’t like to taste the nutmeg as an “ingredient,” I just use it to add depth of flavor. I also add a pinch of powdered white pepper and 1/4 of a yellow onion, peeled and sliced (not to small–what you want is the flavor). I will sometimes also add a bay leaf and bit of vanilla bean, etc, depending on what I’m using the sauce for. For now, just add the onion and one bay leaf (along with the nutmeg). Simmer for about 20 minutes, adding more whole milk if the sauce thickens to quickly. When done pour through a sieve and viola–BECHAMEL! Although this is a very BASIC Bechamel Sauce, you can do a lot with it. 1. You can throw in some Parmesan, Romano or both (grated please, 6-8 oz. please) into the sauce, melt it and pour it over some pasta. Delicious. 2. You can make it into a heavy cream sauce by adding about 4-8 ounces of heated, heavy cream along with your favorite spices from Adult Indulgences, Wickedly Delicious Custom Spice Blends (http://www.adultindulgences.etsy.com), such as Tuscan Sun, Sicilian Prince, or even Oh India! Again, great on pasta, baked chicken, etc. 3. You can stir in 4 ounces of Gruyère (an incredible cheese indeed) and 2 oz. of Parmesan (grated) until melted. Then remove from heat and add in 2 oz. of butter. Stir well. Again, this goes well with pasta, chicken, etc. This is known in the field as a Mornay Sauce. 4. And, you can make my husband’s favorite….Cheddar Cheese Sauce. Add 8-9 oz. of cheddar cheese (grated please), 1/2 tsp of dry mustard, and two tbls of Worcestershire sauce. Place all ingredients into warm Bechamel and heat until melted. Pour over pasta and just die! Really, you can put just about anything into a Bechamel sauce. That is what makes it so very cool. 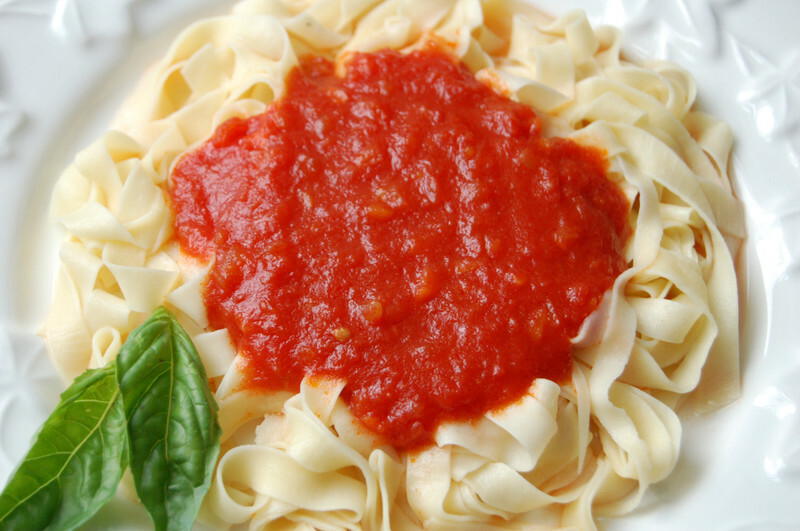 An easy way to make a fantastic sauce that you can use for virtually everything! It can be dainty or robust. You choose! But, I make my Bechamel Sauces just how I like my men….robust and naughty! Do not, and I mean DO NOT believe people when they tell you oil and water do not mix. Yes, they do. Under the perfect set of circumstances they can produce a beautiful, viscus sauce that coats your mouth with flavor and never leaves a slimy, clingy after coating on your tongue. In simple language an emulsion is a combination of oil and water along with additions that create the unique flavor of whatever emulsion you are creating. Most of you know that to thicken a sauce the most common technique is to add a starch (flour, cornstarch, arrowroot) and let the liquid surrounding it swell the molecules, thus increasing the viscosity of the fluid. When you make an emulsification, you don’t use starch but instead you bond little droplets of oil and water molecules. This “bonding” process makes it difficult for the water to move away from the oil and, thus, a thick, creamy consistency results. The most fun emulsification I like to make is a combination of Balsamic Vinegar, Honey, Jack Daniels Honey Dijon Mustard, and Extra Virgin Olive Oil. I beat my ingredients to death with a whisk and all of a sudden the mixture begins to cling to itself and thicken. Within 3 to 5 minutes I have a spectacular emulsified salad dressing that is sweet, sour, salty and above all else creamy and thick. The key to mixing an emulsification until well bonded is technically known as shearing. In my case, I often use a whisk. This takes a lot of “sheer” muscle power and time, but works great. Modern cooks are lucky to have mixers that do the work for them. For those of you who make your own mayo you know how handy a metal bowl with whisk mixer can be!! You may wonder why having an electric whisking device is better than hand whisking an emulsification. The answer is simple enough: shear power. With greater shearing power the better the bond you are creating between the molecules and the less chance you will have of your emulsification separating. Finally, always remember that shearing power isn’t the end all beat all to a great emulsification….oh no, you need a great emulsifier to get a stable emulsification. Emulsifiers are those “bonding” agents that allow oil and water to mix properly. Soy bean sauces, cream, and egg yolks are all great emulsifiers. In the big world of chef’s emulsifiers will always include food grade gums such as Xanthan. I’ve never used the stuff and have no idea how to. This should make a good study for those of you curious about emulsification with Xanthan. Hey, I know I used a couple of terms in my last post that may leave some of you rubbing your head, but don’t be afraid of the four letter word roux or its much longer cousin…emulsions. You need to master a roux and an emulsion before you can be successful at composing fine “Mother Sauces.” So, let’s get to it. A roux is a mixture of ingredients used to thicken sauces so they aren’t runny like water. The way to make a roux will leave you open-mouthed by its simplicity. You must use an equal amount of flour and fat (traditionally clarified butter and/or animal fats) mixed in a saucepan and cooked over medium heat. That sounds simple enough, but for how long do I cook it. Well, here’s the rub….how long you cook it depends on what type of roux you want. Unfortunately, no matter how long you cook it you won’t get a kangaroo! Couldn’t resist. Seriously, here’s how it works. There are three generally accepted types of roux. 1. White Roux. Really, this should be named a yellowish roux, because that’s its true color, but who’s questioning history, eh? You will mix an equal amount of flour and clarified butter (if you are a purist) in a sauce pan and cook over medium head for just a few minutes until the fat and flour are well mixed and begin to get a little frothy. Don’t just pull the roux off the stove at this point, as you WANT to cook out the flour flavor. Also, you don’t want to leave it on so long that it turns a darker color, or you off and running into another type of roux. So, be careful how long you cook the White Roux. White Rouxs are used primarily for bechamel and alfredo sauces (in other words, sauces using bases such as milk and cream). 2. Blond Roux. Yep, Blond Roux. I can imagine a few of you “man cooks” out there hurrying to make a blond roux in hopes that she’ll be a dream come true. Well, she may be beautiful and slightly blond and she may make you happy, but she won’t last. Blond roux is cooked a bit longer than your White Roux. Cook it until it begins to turn a bit darker than the Yellow/White Roux. Blong Rouxs and used for stock based white sauces such as veloutes. 3. Brown Roux. You guessed it, a brown roux is a blond roux taken several steps further in the cooking process. The key to a perfect brown roux is to lower the heat and cook it over low heat (once it has combined and is frothy) until it browns evenly. Note, I said browns evenly, not burns or scorches. Interestingly enough, a brown roux cooked correctly will have a slightly nutty flavor and smell and taste quite rich. Yummmmm. You will use a brown route to thicken brown sauces like gravies. 1. Never, never, never burn or scorch your roux. 2. A great roux is paste like and not runny or stew-like. Roux should not pour like liquid. 3. Cake flour makes by far the best roux. 4. Try not to use shortening as your fat. It add little flavor, tastes terrible and leaves a after greasing on your tongue. 5. Try to use clarified butter or another animal fat. 6. Make sure to use the correct amount of roux to complement the amount of liquids you have. I did some research of this one and here’s what the experts say. Personally, I just keep adding until I get the thickness I desire. So, how does one incorporate a roux? Well, again, it is really quite simple. A roux can be added to a liquid mixture when the mixture is warm to hot, but avoid early boiling, as clumps can form. Once the roux is added to the mixture you wish to thicken, make sure you whisk furiously until the liquid incorporates the roux (smooth and without any lumps). Next, bring the sauce to a simmer and continue to simmer and stir for 20 minutes or so. During this time the starchy flavor of the flour will further dissipate and your liquid will proceed to thicken. If you happen to have added to much animal fat, make sure you skim it off the surface. Well, this had been good for me I hope it has been good for roux……………………. Our next post will be about emulsification. No, not mumification….emulsification!!!! My apologies, again, for being absent. Let’s continue where we left off some time ago, shall we? As I was mentioning, an avid reader wanted a lesson in “Mother Sauces”. Naturally, I aim to please (most of the time, anyway). Some of you may be asking, “What the heck are Mother Sauces? Well, simply put, they are the base sauces for most any sauce you can think of or create. The Mother Sauces are: Tomato Sauce (or Sauce Tomat), White Sauce (or Sauce Bechamel), Brown Sauce (or Sauce Espagnole), White Stock Sauce (or Sauce Veloute) and finally, Hollandaise Sauce. I’m sure most of these sound familiar to a lot of you who like to cook. So, let’s take a better look at each, shall we? 1. Sauce Bechamel. This delicious base sauce is usually made with whole milk and thickened with a white roux (to be explained later…if you are wondering what a roux is). Bechamel sauce is often flavored with white onion, bay leave, salt, nutmeg and white and black pepper. Bechamel is served most often with pastas, eggs, poultry and veal. 2. Sauce Tomat. How can we forget this lovely sauce made from a base of tomatoes, whether raw, pureed, stewed or in a paste form). We are most familiar with this sauce and its use in pastas. But it is often found fish, vegetables, polenta, veal, poultry, breads and gnocchi. Thickening of a Sauce Tomat often occurs with purees, reductions and even a roux. 3. Sauce Espagnole. Brown Sauce is a must if you are aiming for truly classic cooking. It is thickened with a roux and is made from a base of veal, beef or chicken stock. It is most often served over roasted meats such as veal, lamb, beef and even poultry. 4. Sauce Veloute. As a white sauce Sauce Veloute is made with chicken, light meats and often fish. We find it used with eggs, fish, pastas and veal. Sauce Veloute is commonly flavored with various wines and thickened with a roux. 5. Hollandaise Sauce. My favorite! Clarified butter and egg yolks make this sauce truly unforgettable. It is thickened through emulsification (to be defined later) and often paired with seasonings such a black pepper, white wine, white wine vinegar, lemon juice, and salt. I love Hollandaise over asparagus! It is also often used with vegetables, light poultry dishes, fish, beef, and eggs! Such a tantalizing group of “Mother Sauces” from which can come an infinite number of possibilities. Your imagination and palate will be your only boundaries! Oh, yes! This is one Cambodian (Khmer) sauce you won’t be able to live without. I kid you not!!! I love a great, flaky white fish, broiled and placed on top of a bed of aromatic Jasmine rice. Here is the best part, I don’t dip… I pour a line of Ginger sauce down the middle of it all, sit back in the silence broken only by the melody of the aromas and delicately roll my meal in my mouth–bite per bite. Ummmmmmmmmmmmmm. 1-3 hot chili peppers, finely minced. Remember, heat is optional! Use none or a little or all three. It is up to you. Place all ingredients in a small, glass sauce pan. I ALWAYS let this recipe sit in the fridge for 24 hours before using. I remove it from the fridge and heat it gently and serve. You may be asking why I use a glass sauce pan. Well, it is simply this: lime juice and ginger can be quite acidic and I never place acidic elements (tomato, lime, lemon, etc.) in a metal pan. Believe it or not the metal can be corroded quickly and spoil the fresh taste of whatever you are cooking! Hope all of you have enjoyed a brief visit to Khmer cooking. I just want to tease you all a bit with what will be coming soon…..MOTHER SAUCES. With a limited number of base sauces you can create endless and wondrous sauces for any and every dish. It’s time to get creative with Mother Sauces. And, a big thank you to the wonderful reader who recommended lessons on Mother Sauces two months ago. Finally, I can meet your desires. Stay tuned…….. If you remember, and I barely do, that our last post dealt with an incredible Khmer curry paste recipe, then you will also remember my promise to post an incredible Khmer Curried Chicken recipe. Well, there it is. You’ll want to make sure your spice paste mix is ready to go. Just check my last couple of posts and follow the directions and your paste will be ready. I must say this chicken recipe is so delicious that you’ll want to place a table outside in the evening, light many candles or hanging lights in the bushes and trees around you and place a delicate and soft Cambodian CD on the stereo and relax and take your time to enjoy your company and your food. Linger, talk softy, chew as long as you can and just let your palate and your olfactory sensors baste in the pleasure of this incredible dish from a beautiful and incredible country. Place enough rice and water in a steamer to make 5 cups. Add 4 saffron strands and 1/16 turmeric tsp. turmeric powder. Turn on steamer and let rice cook. Heat oil in a wok until hot. Fry , stirring constantly, 2 Tablespoons of Khmer Curry Paste for one minute. Add sliced chicken breast. Stir for 2 minutes. Turn down to medium heat. Add 1-2 tablespoons of sugar and stir well. Cook chicken until done. Toss in vegetables and stir. Stir gently for another minute and then add 1/2 cup coconut milk, salt to taste and fresh chicken broth. Heat through. Serve over the steamed rice and truly enjoy. As a note I would like to add that some folks do like more curry paste in their recipe. If you find you would enjoy more paste, add more the next time. This is a better strategy that adding much too much spice early on and ruining a recipe. On that note…………………………………………drift way to Cambodia.